There are two young men out there in the world that may not even know that they were part of a parental abduction and their mother is still looking for them. 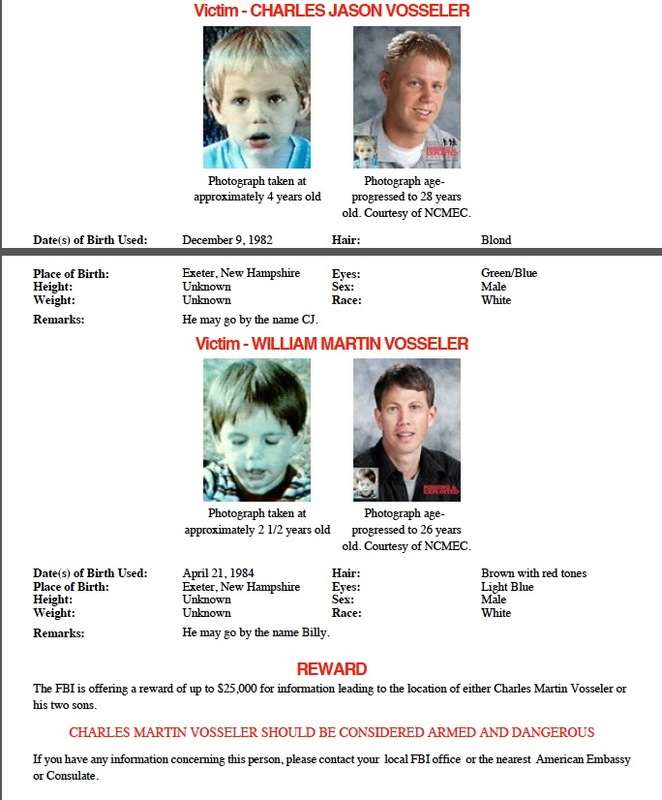 Back in October 1986, Charles Martin Vosseler, told his wife, Ruth Parker that he was taking their two sons, Charles and William to visit family. They never returned to their home in Exeter, New Hampshire. The FBI is still searching for Charles and is offering a $25,000 reward for information leading to his location. The FBI has provided age progression photos, but also state that Charles has an eye condition that causes him to turn his head to the right side. Charles could be anywhere in the U.S. 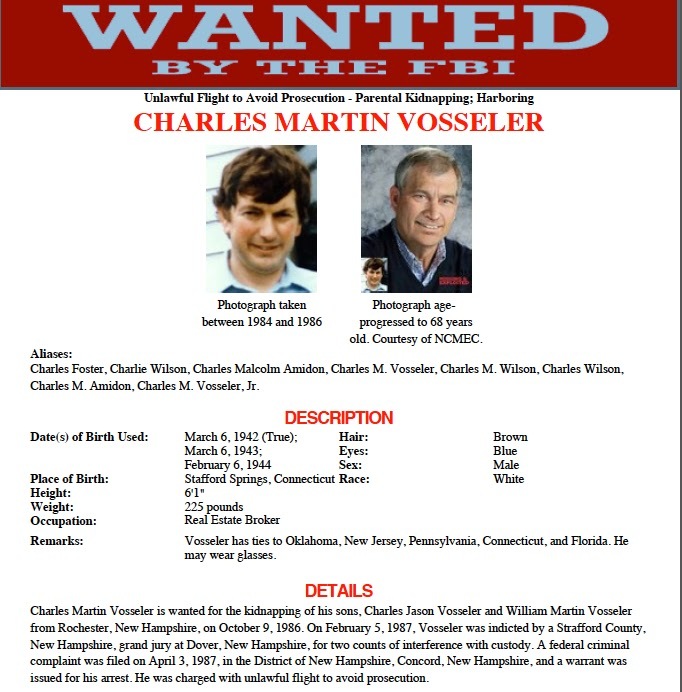 He is 69 years old now and is known by several different alias: Charles Foster, Charlie Wilson, Charles M. Vosseler, Charles Wilson, Charles Malcolm Amidon, and Charles M. Vosseler, J. The two boys are grown up now, Charles would be 28 and William would be 26, and could be on their own with their own families. Take a few minutes and look at the photos and see if you might have known these boys as children growing up, or if they look like someone you would know now, disregarding the name you may have know them as. There names may be different than what is stated here. These boys deserve to know they have a mother out there looking for them. You can leave tips here or contact the FBI at 603-431-4585.